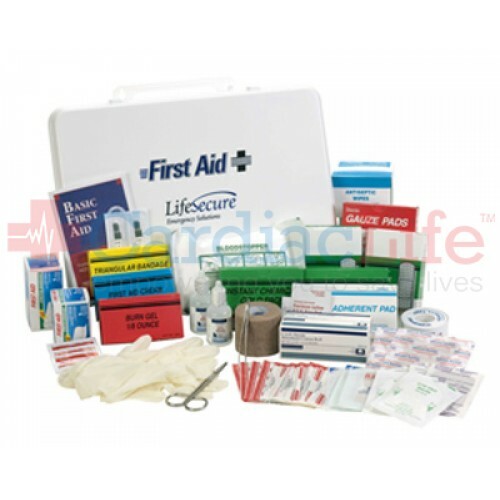 Emergency First Aid Kit for up to 50 people that will handle day-to-day first aid situations. Complies with OSHA requirements and meets ANSI Z308.1-1998. 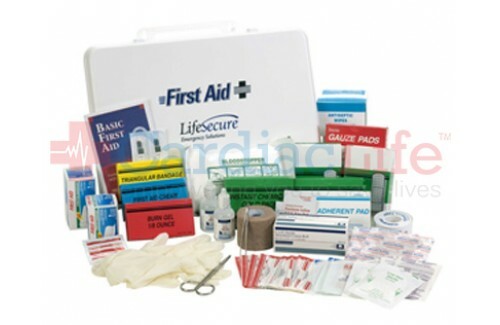 (1) Bandage scissor 4 1/2"
The kit is stored in a lightweight plastic container. Kit refills are sold separately.